Backstory: The ancestors of Hindu Kush, like all true Kush strains, were squat pot plants growing on a stretch of the Himalayas around Afghanistan and Pakistan. 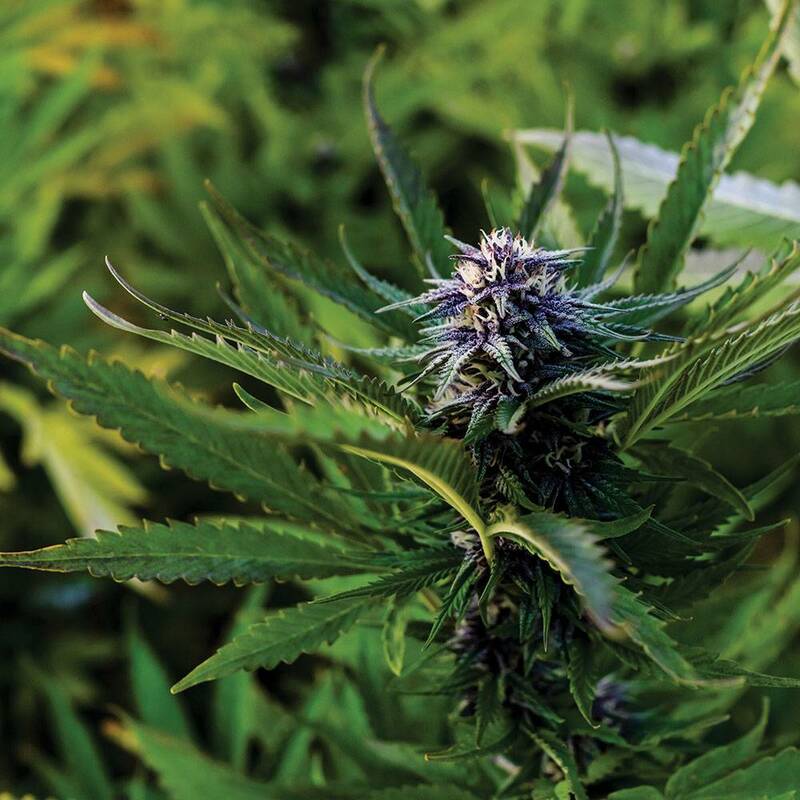 Hindu Kush originally came to America as landrace seeds bound for Oregon, where a mystery breeder grew it out into a stable phenotype. Type: This is a classic sedating strain with immediate physical pain relief and a calming body high. It’s not likely to cause paranoia and will deliver sedating effects without a very strong couch-lock feeling. 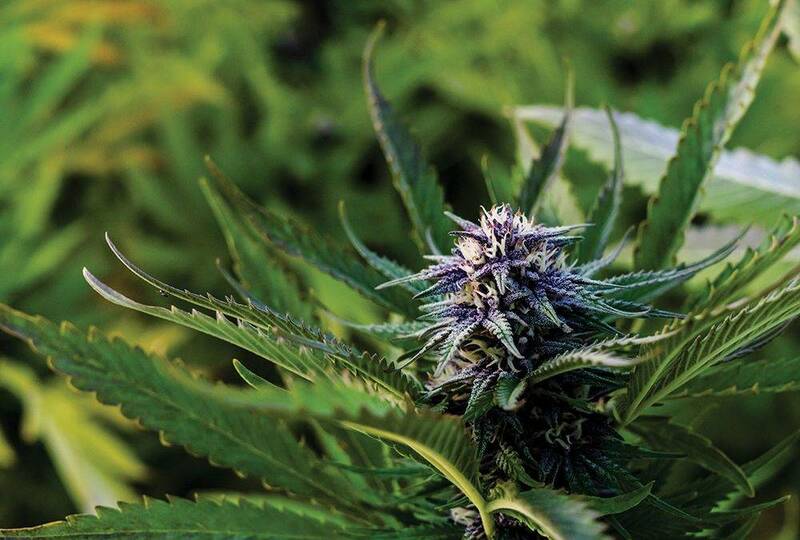 Genome: A genetic test by Phylos Bioscience showed that Puffin’s Hindu Kush is in a unique group of cultivars. Puffin’s owner Jade Stefano says this strain appears to never have been hybridized with other cultivars. That’s unique compared to the majority of Kush strains. Dominant Terpenes: Unlike its relatives in the larger OG Kush family, Hindu Kush has almost no myrcene in it, instead showing heavy amounts of limonene and caryophyllene and lower levels of humulene, pinene and linalool. Despite its high degree of limonene, this strain has almost no apparent citrus flavor. Attributes: Puffin’s Hindu Kush has dense and compact nugs with deep purple nodes covered with orange hairs. Sticky crystals cover these colas, which have a deep herbal aroma of black pepper, clove, dried orange peel and a touch of skunkiness. It’s like a bowl of fresh potpourri. Puffin’s slow, cold curing creates a smooth smoke with a light woody flavor. Cost: $37 an eighth, a deal when you consider Puffin is a sustainable, pesticide-free farm. Hindu Kush strains can be found all around the country, although some growers sell versions that are far below Puffin’s standard. Pair with: A cup of spicy chai tea on a crisp winter’s evening. Great as: A digestif after a heavy winter dinner, relaxing you into an enjoyable night indoors. Its pain-relieving properties make it a natural finish to a long day out skiing or snowshoeing. Curl up through winter with this relaxing, spicy flower.